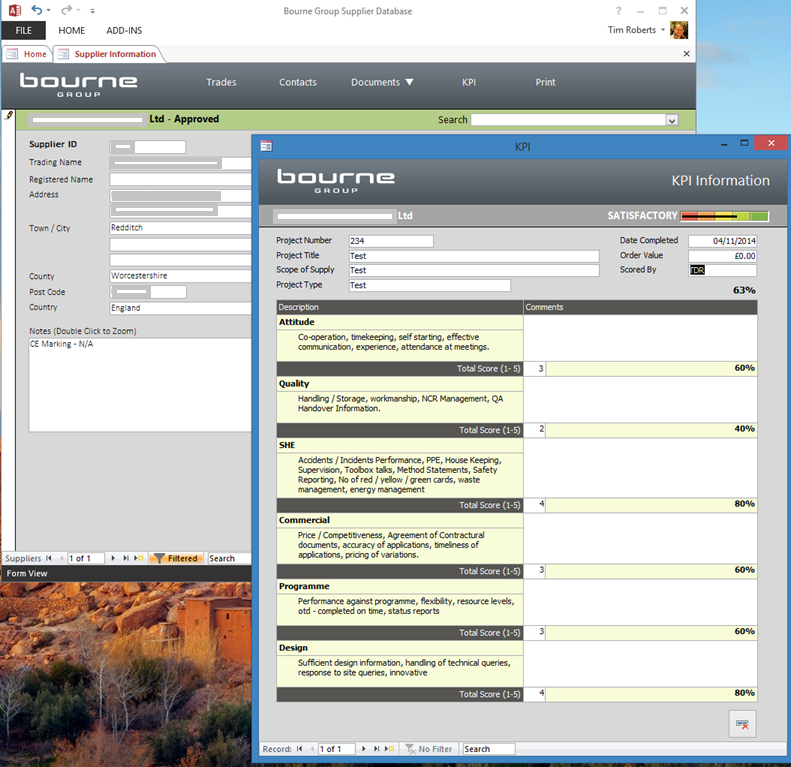 The Bourne Group comprises of three businesses: Bourne Steel, Bourne Special Projects and Bourne Parking. The group has been involved in numerous high-profile building projects including the Gas Holder Triplets, Strata SE1, Brighton Dome, The Guildhall in London, Wembley Arena, the Cube in Birmingham and the Tank Museum in Dorset. This amazing, forward looking company is one of Silversands managed support customers. We support them in areas such as Office 365, Azure, software deployment, deskside user support and office relocations. 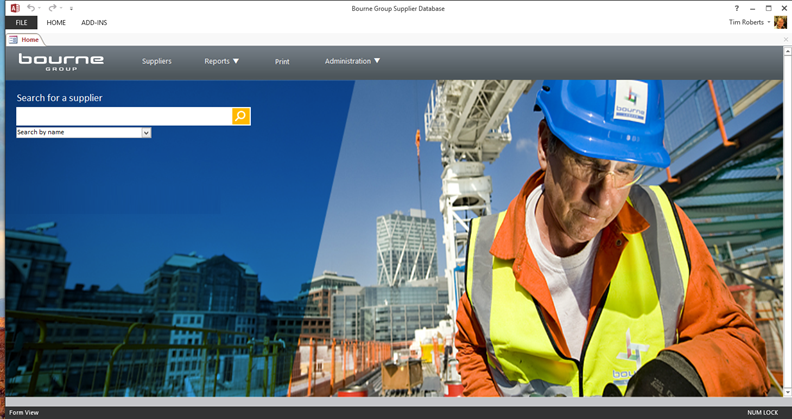 In order to ensure consistent quality and delivery standards, Bourne Group maintains a procurement database containing supplier, project and quality information. 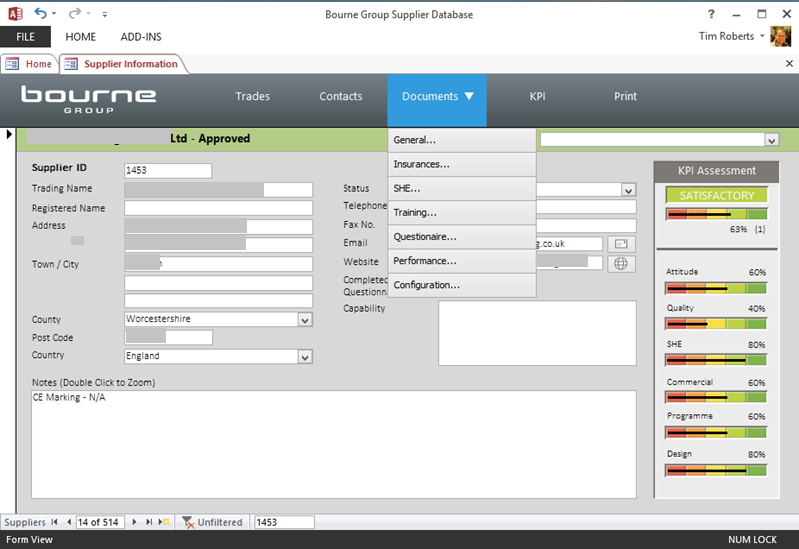 Bourne Group approached Silversands to modernise and improve the performance of their supplier CRM system. Using our wealth of experience of developing and maintaining database solutions from smaller MS Access solutions to full blown SQL solutions, Silversands, working closely with key Bourne Group stakeholders, reviewed and enhanced the database, identifed performance and usability issues and finally proposed a new user interface design to address the usability and branding issues. The application underwent a refresh to include the Bourne Group corporate branding. Looking to the future, Silversands have recommended porting the database to Azure to create a highly resilient, scalable and centralised solution to meet the needs of this fast-growing corporate enterprise. If you would like more information on this project or you have similar challenges and would like to discuss them with us. Please contact us using the attached form. With a globally distributed workforce, a complex Active Directory and identity management infrastructure, and 12,000 mailboxes, this was one of the most complicated Office 365 implementations and migrations. We needed to be able to rapidly and effectively share information across our organisation and the ability to replace the outdated file-share environment with our teams across the globe to upload, share, store and collaborate on documents with ease. This programme of work aimed to provide the necessary technology to enable Kew users to undertake their day-to-day jobs in a flexible way, as 78% of Kew staff are classed as mobile users whom travel the UK, Europe and worldwide in their employment.